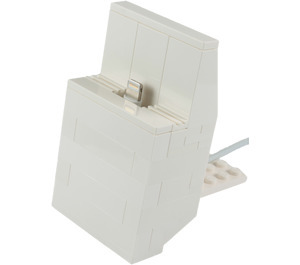 This is a custom dock for your Apple iPhone 5 made entirely out of Lego. 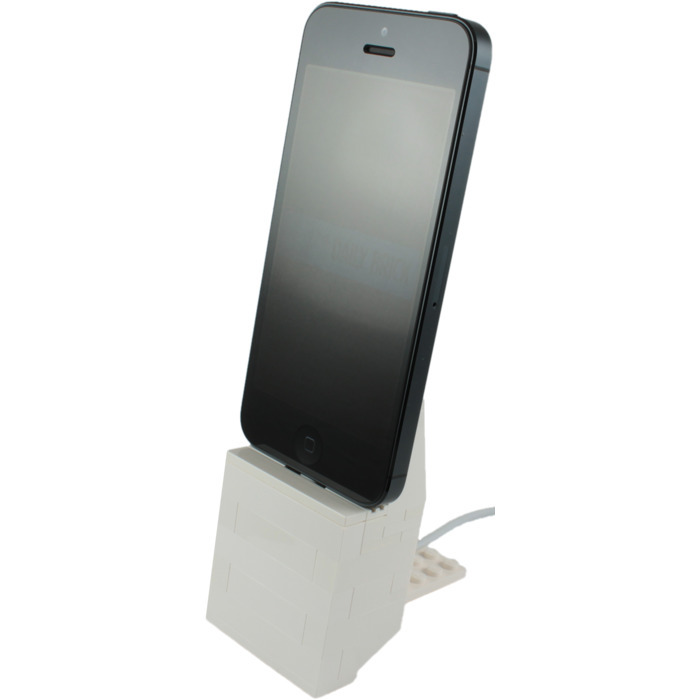 It has been designed to stand your iPhone up on your desk and allow you to charge it or sync with your computer. 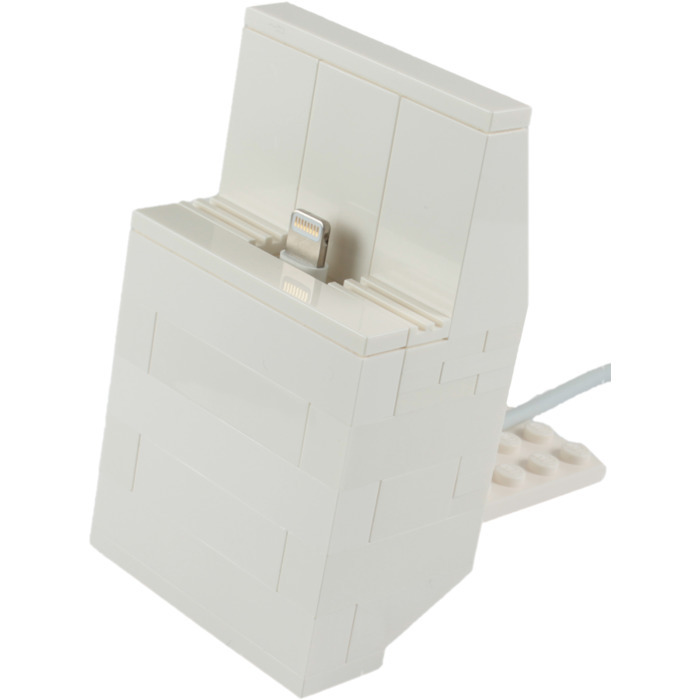 It has small Lego grills to allow the phones speakers to work while in the dock, you can even can play music or conduct speakerphone calls. You will receive all the Lego parts required to build the dock. The cable is held firmly inside the dock using Lego clips, it won't move around so you can dock and undock the iPhone one-handed. View the Building instructions (Insert the Cable at step 2 under the arch). Note: iPhone 5 and cable not included. 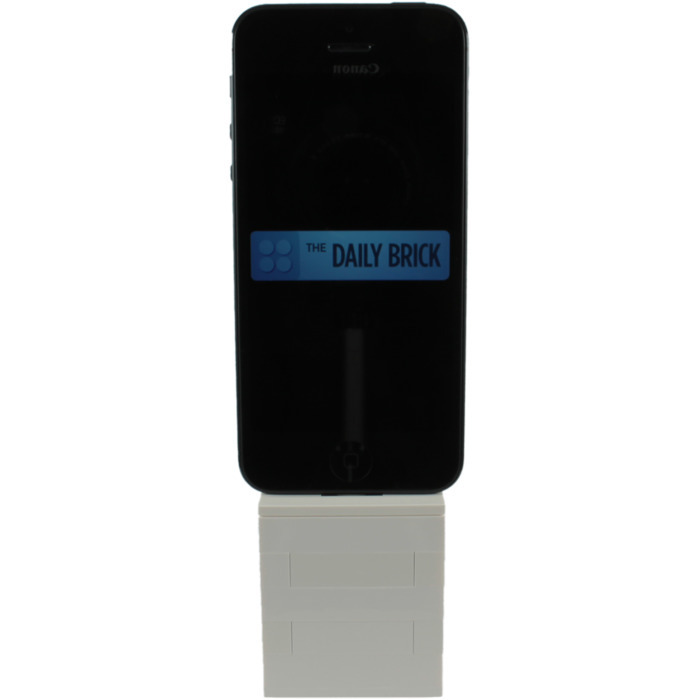 Note: This is a custom item created by The Daily Brick. It is not an official item created by LEGO. Well packed, accurately picked, great quality bricks - happy customer thanks!